The Russian Investigative Committee says it has received rock-solid proof that Kiev’s armed forces have been using weapons of mass destruction against civilians in eastern Ukraine. 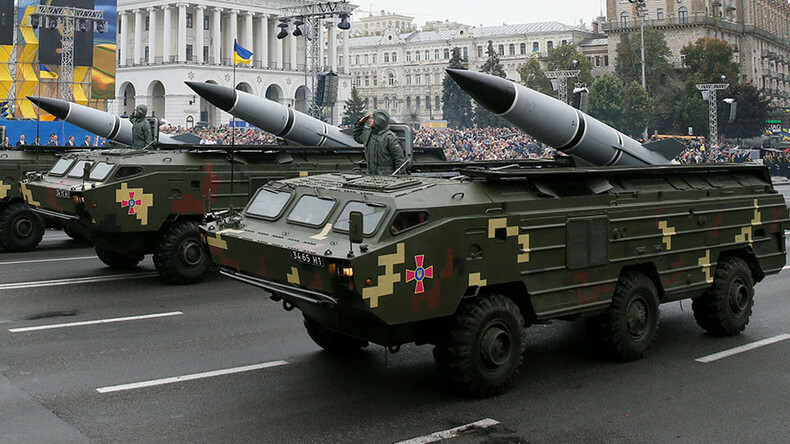 “The office of the Russian State Investigative Committee, dealing with crimes involving the use of prohibited means and methods of warfare, has discovered and procedurally documented irrefutable evidence that the Armed Forces of Ukraine have been using weapons of mass destruction, namely the Tochka-U tactical missile complexes [SS-21 Scarab in NATO classification] against civilians in the armed conflict in the south-east of Ukraine,” the investigative committee said in a statement published on its official website on Monday. The committee also stated that the Tochka-U can fire a wide range of missiles, both conventional and non-conventional, nuclear or chemical. “According to the investigation data, the Ukrainian military used missiles equipped with high-explosive fragmentation and cluster charges against the civilian population of Donbass,” the committee stated, noting that one such high-explosive warhead produces up to 14,500 fragments, scattering them over an area of up to three hectares. The cluster rocket produces even more fragments – up to 15,800 pieces – ensuring damage to manpower and soft-skinned vehicles in an open area ranging from 3.5 to 7 hectares. “Such weapons [as the Tochka-U] can be classified as weapons of mass destruction, having an extremely high destructive power over a large area. They are intended for causing mass casualties and damage to large spaces and aim to injure an unlimited number of people in the affected area. International treaties prohibit the use of weapons which leave no chance of survival for both belligerents and civilians during armed clashes or armed conflicts. The use of such indiscriminate weapons simultaneously entails the loss and injury of civilians and excessive damage to civilian objects,” the committee added, stressing that in using these weapons, the Ukrainian Army is in violation of the Minsk agreements, as well as the Geneva Convention on the Protection of Civilian Persons in Time of War. 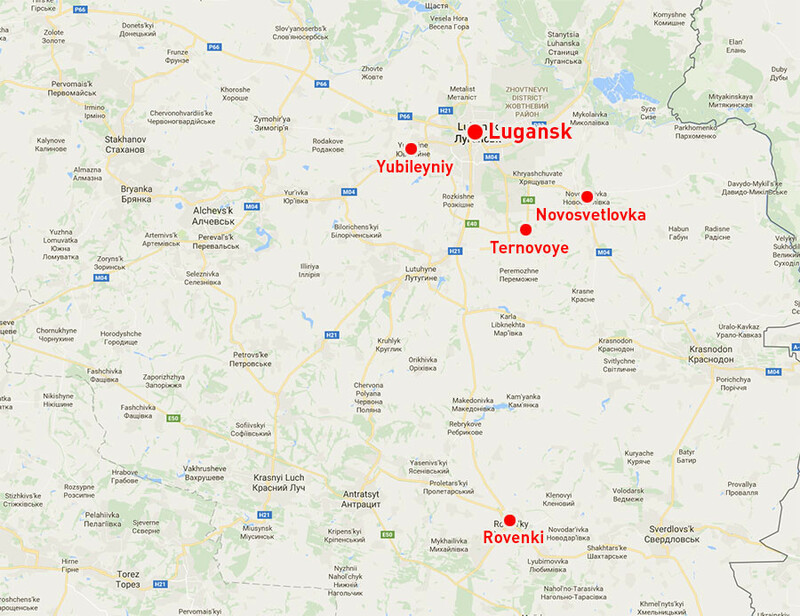 Russian investigators state they have obtained evidence of the Ukrainian military using Tochka-U missile complexes against a number of settlements in the Lugansk region: in the city of Lugansk, as well as Novosvetlovka and Ternovoye in the Krasnodon district, the city of Rovenki and the suburban village of Yubileyniy. “The use of such weapons shows that authorities in Kiev pursues the goal of total annihilation of the population and infrastructure in the country’s south-east,” the committee concluded. 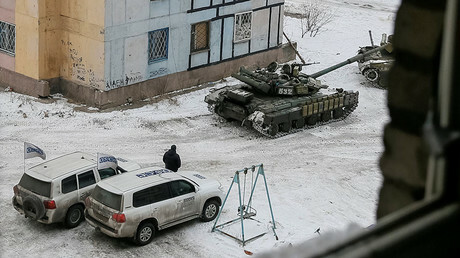 The evidence of Tochka-U weapons being deployed in areas with dense civilian populations could be proof of “war crimes taking place,” security analyst and antiterrorism expert Charles Shoebridge believes. “If the information is correct and they can show that these missiles were used … against civilian targets, and let’s be honest in the situation in Donbass at the moment, particularly places such as Lugansk and especially Donetsk, it would be difficult to use a weapon of this magnitude without having some impact on civilian areas,” Shoebridge told RT. A significant number of Tochka-U systems remained in Ukraine after the fall of the Soviet Union. According to the Russian Investigative Committee, it is one of the most powerful weapons in the arsenal of the modern Ukrainian Army. The missile complex was designed in the 1970s and adopted by the Soviet Army in 1975. It was initially designed for localized strikes aiming to destroy small targets, such as ground-based reconnaissance and strike systems, control stations, aircraft and helicopter parking, ammunition and fuel storage, etc. deep within enemy positions.